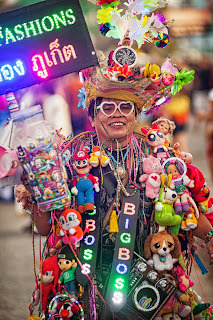 The 29th carnival in Phuket, Thailand. The Carnival parade starts at Soi Ton, winding its colourful way along to Loma Park. Taking part in the parade is a medley of private groups, government organisations, university and school students. Photo by Anders Thorsell.